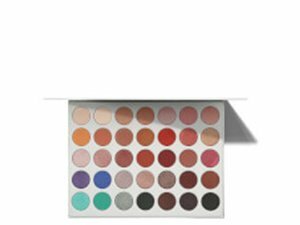 How many stars do you give 35 Colour Eye Shadow Palette by Morphe ? 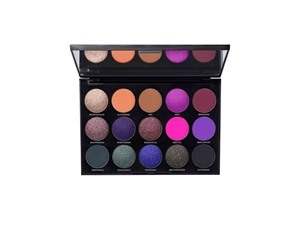 Morphe 35 Colour Eye Shadow Palette is available to buy at lookfantastic, and Cult Beauty. Purveyors of professional-grade make up brushes and sumptuous, 35-pan shadow palettes, Morphe Brushes will enable you to make up like a make up artist – blending your complexion, eye and contour products to perfection to achieve a flawless, airbrushed finish. With a spectrum of styles for effortless application of powder, cream and liquid formulations – from the softest, fluffy powder brushes to flat-topped buffing brushes and tapered, mini blending brushes – you can create a naturally beautiful effect (think: real-life Instagram filter). Gorgeous colours and the eyeshadow is really pigmented. Ideal for many different looks. Love it, it is my favourite palette. 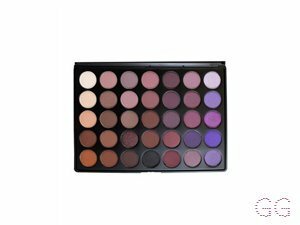 I've heard a lot of great things about morphe palettes. Throughout my teens I always wanted to try them, it was a brand I admired from a distance. A few months back I had some credits to spend on Look Fantastic so I took the plunge and picked up the 35V Stunning Vibes palette. I am in love, this is the perfect palette to be introduced to the brand as it is an all rounder palette. In this palette you have a lot to work with. Everyday, soft glam, full glam, smokey, warm, colours. There are pigmented mattes which blend well and beautiful creamy shimmers which apply well and layer brilliantly. MakeUpGeek, Lickle-Boo and Amestarz and 5 others like this. ✨I have the Second Nature palette and I love it! I love the unique red shades combined with the bright oranges. There is a good mix of matte and shimmers. My only gripe is that there are so many brown shades, but that’s just me being picky. The shades blend seamlessly together and lots of individual looks can be created. I used this palette to create a Leo look (which you can see on my feed!). There is a bit of fallout which is annoying, but I can forgive this as the shades are quite buttery and not tacly, which is really important to me! The price point is an absolute bargain at £23 for 32 shades! I really want the purple version so I will definitely be investing in it!  MakeUpGeek, Lickle-Boo and makeupguru and 4 others like this. Lovely palette, was looking for a palette with purples in. And came across this in the Black Friday sale. Lovely range of purples and browns. Blend nicely, can create many looks from this palette too. Only one problem.. and that’s the fall out it’s mainly with the darkest shades. Recommend using this before you do your base. 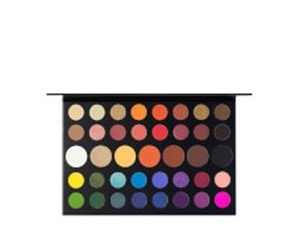 Wow what can I say this pallets yet alone the brand morphe I’m glad I invested in the formula for the eyeshadows great and blends out so seamlessly as well as the range ignored of colours they offer with many palettes and the pigment they have definetly worth all the money and wish someone told me sooner. I have 35O and love it. I love the variety in colours in this palette and adore the colour scheme. The colours work very well with eachother and are extremely pigmented. 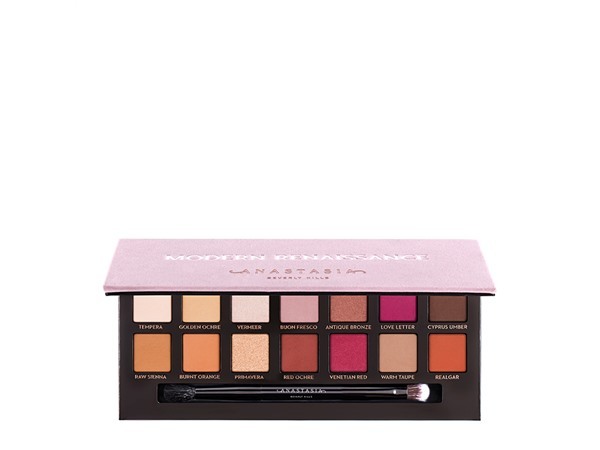 My main critique is that I do struggle with a fair bit of fallout from this palette, but considering the price I can definitely live with this! All in all a very good palette for not much money at all. The shadows are very pigmented and blend flawlessly in the crease. They blend together very well and don't have a muddy look. However some shadows have a bit of fall out. Amestarz, Trudie3110 and Bellissima and 9 others like this. I have two Morphe palettes 35T and 35O and so impressed with them that I'll definitely be buying more! The shades can look very similar in the pans but when applied, they all have something different about them. I love how buttery and pigmented they are, they blend well and are long-lasting. Two negatives are that some shades have a lot of fall out but I'm not even going to mark them down for that because they are such great value palettes. Lickle-Boo, Amestarz and Samjoslyn like this. Love this palette, has lots of shades which are highly pigmented. Easy to blend and feel light on the eyelids. I am in my mid 30's with normal, light tone skin and unknown eyes. My hair is unknown, unknown with unknown texture. 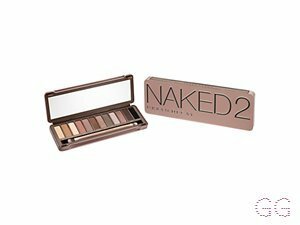 I have the 35F pallete and overall this is a great one and it is probably the favourite eyeshadow pallete which I own. All of the matte shades blend seamlessly and blend flawlesslyy into eachother. Every single one of the shades are pigmented, the shimmers go on beautifully and when some of them are used with some Mac fix+ on the brush they can get a foiled look without having to pack too much on. Wadey83, Lickle-Boo and Amestarz like this. I am in my late teens/early 20's with combination, light tone skin and brown eyes. My hair is medium brown, normal with normal texture. 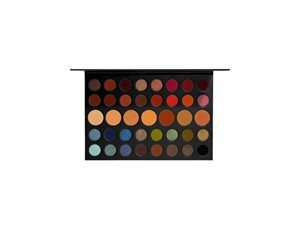 I have the 35O pallet (orange/red/brown) really good shadows that work well and are good to experiment with. Very affordable, and definitely worth the price. And some colours are EXTREMELY pigmented. I am in my late teens/early 20's with dry, light tone skin and blue eyes. My hair is red, dry with normal texture. I am in my mid 30's with combination, tanned tone skin and brown eyes. My hair is dark brown, normal with coarse texture. Great Value! Great Pigmentation! Long Lasting! In love with morphe! Super pigmented, like butter and hardly any product is required into your brush. Lasts a good 12 hrs too! Defo recommend as womderful rmage of colours to suit Day & night . This product is super pigmented. Definitely worth the money & has some beautiful rich colours on it. Personally i love this product. It does not cause creases. It does not disappear throughout the day. I have slept with it on and woke up with it still in place. I am in my late teens/early 20's with normal, tanned tone skin and unknown eyes. My hair is unknown, unknown with unknown texture.